KNOCK OUT SETS There are 2 products. 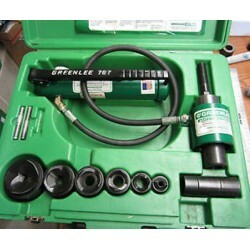 IDEAL FOR PUNCHING HOLES IN VARIOUS SIZE CONDUIT IN DISTRIBUTION BOXES, ELECTRICAL PANELS AND TROUGHS. 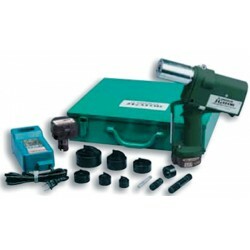 (ELECTRIC & BATTERY POWERED) KNOCK OUT PUNCH DRIVERIDEAL FOR PUNCHING HOLES IN VARIOUS SIZE CONDUIT IN DISTRIBUTION BOXES, ELECTRICAL PANELS AND TROUGHS.